High school seems to be the default setting for YA, and I do see why. At age 14 to 17, you're hormonal and possibly in love, and increasingly confused by and frustrated about the world, but you're still stuck under your parents' roof and your teachers' demands, confined by their rules. It all makes for pretty good drama. But to me, an even richer phase is right after high school: when you turn 18 and move out (to college or travels or some away-from-home job) and become an actual young adult. You're still a teen in that phase, still hormonal and confused and frustrated. But now you're thrown out into the sea of real life without near as much help from older grown-ups. You have to procure your own food, keep closer watch over your own income and bills, take care of yourself when you're sick, set your own curfews and rules, and feel the consequences of your decisions more strongly than ever. It's part awesome and part awful--or at least, it was in my experience. And that's the phase I've found truly interesting to write about. In both my novels that might count as YA--Relatively Honest and What Scotland Taught Me--my protagonists are 18 or 19, fresh out of high school, and tackling the world in settings totally new to them. For both books, the teens are even in a different country than they're accustomed to. Daniel in Relatively Honest is a Londoner starting university in Oregon. And Eva and her friends, in What Scotland Taught Me, are Americans taking a work-abroad stint in Edinburgh before beginning college. Therefore they all suffer culture shock on top of the usual unbalanced nutrition and romantic troubles of a person's first year out of their parents' home. At that age, under the influence of so many new people and temptations, it's common to make more mistakes--and bigger mistakes--than we did as younger teens. My characters are no exception. In fact, despite both these novels being love stories, I don't generally call them romances, because they involve so much more deceit, cheating, and confusion than the romance genre tends to allow. "Coming of age," "new adult," "teen lit," or just "fiction"--I'm happy with any of those labels for them. And if you read them, I hope you might see the appealing, humorous side of the flawed humanity my characters possess. In my opinion, to be young and in love and flawed is one of the most glorious phases of life. 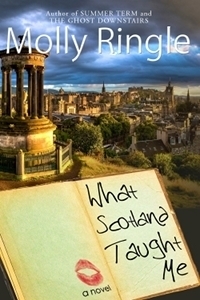 To enter to win a free ebook copy of either What Scotland Taught Me or Relatively Honest (winner's choice), fill out the form below. The winner will be chosen on Sunday, November 25th. This giveaway is open internationally, and there are no rules: anyone can enter! Shocking. Disgusting. Deceitful. That's how some might have described Daniel Revelstoke's behavior even before he fell in love with his first cousin. I can highly recommend both titles. I've read What Scotland Taught Me twice now and I still come away hugely satisfied. 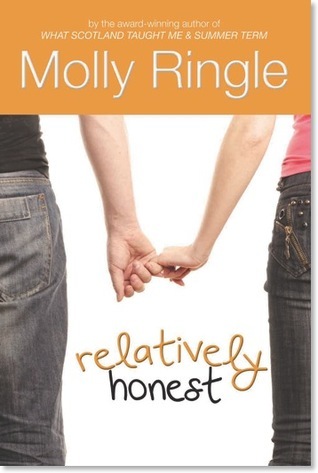 Relatively Honest is a three-time read for me. Totally recommend it. Both sound good. I agree with you that I prefer to read more about college age drama than high school drama. Mostly because as an adult I think it can be creepy to think of a 15 year old boy as hot/dreamy/swoonworthy, etc, lol. Thanks so much, Juju and Dean and Scott--I'm honored any of my books merit a re-read! Hah, excellent point, Jennifer. I think I just feel wrong, as a woman in my 30s, writing about the hotness of a 15-year-old. Even if I do remember *being* 15 and thinking along those lines.